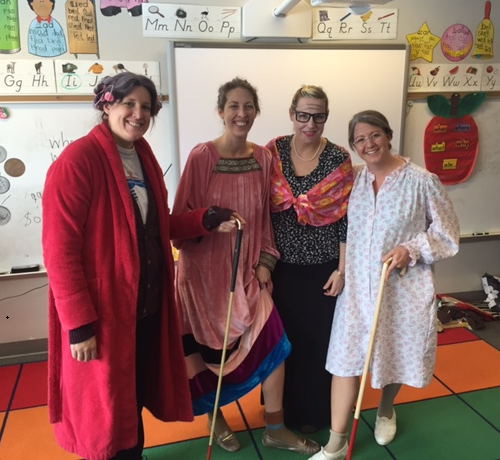 First grade teachers at Abraham Lincoln Elementary from left to right : Mrs. Gray, Mrs. Lopez, Mrs. Compton and Mrs. Grove celebrate the 100th day of school by dressing up as 100 year old women! 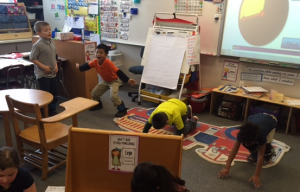 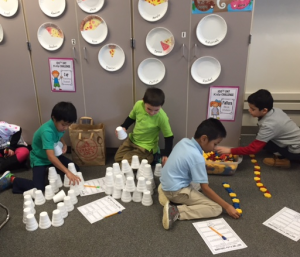 Mrs. Compton’s classroom celebrates the 100th day with a variety of activities including building 100 cup structures and doing 100 exercises. 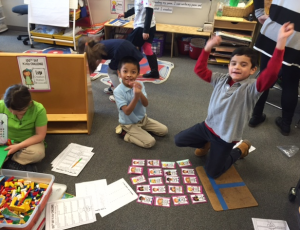 First grade had many great 100th day of school projects turned in, including these projects pictured in Mrs. Lapkovitch’s first grade room. 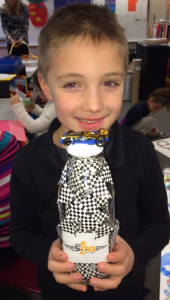 Jackson Bailey with his Winner’s circle Indy 500 racing milk jug, filled with 100 racing flags and topped with a race car. 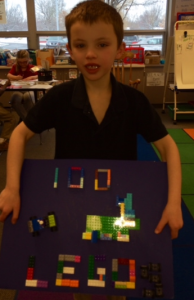 Lucas Wyatt with his 100 piece lego structure.